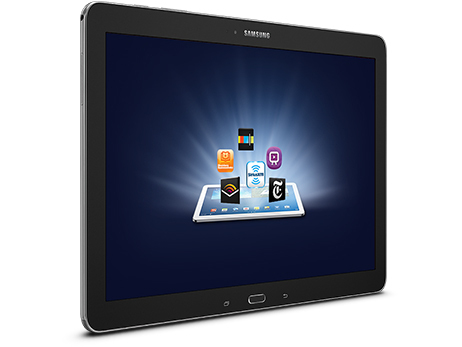 Samsung Galaxy Note Pro - 12.2" - 32GB: Experience the productivity and entertainment of a tablet with a spacious screen. 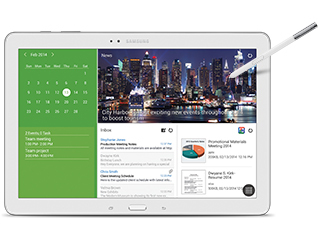 View up to 4 apps simultaneously and switch seamlessly between work and play. Watch a movie in stunning HD, or tackle business tasks with the versatile stylus. View stunning, lifelike detail and brilliant color on the new 12.2" crystal clear HD display with over 4 million pixels packed inside. 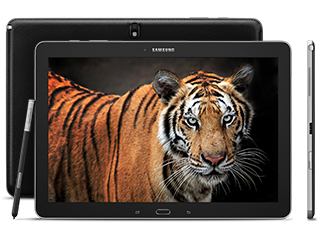 It’s also astonishingly lightweight at just 1.65 pounds, yet delivers an unrivaled reading, editing and viewing experience, and incredible responsiveness-all powered by the Samsung Exynos® 5 Octa processor. Take your productivity to the next level on the large 12.2-inch display with the intuitive S Pen™ and enhanced multitasking, which allows you to use four different applications side-by-side. And stay more organized with Magazine Home, a home screen full of dashboards that update automatically. Now you can get to your favorite apps even easier with Bezel Slide. Simply swipe your thumb near the edge of the tablet to select your app. 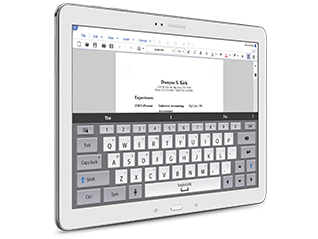 Now you can easily take your work with you wherever you go, with a full-size on-device keyboard and a full suite of office applications for word processing, spreadsheets and presentations. And with Samsung e-Meeting, you can share your screen and collaborate in real time with coworkers, even when Wi-Fi isn’t available. And keep all your sensitive information secure with Samsung KNOX™, an enterprise-approved security and encryption solution.